If you’re looking to bake a special treat to cap off the Easter meal — or for sharing with coffee later in the afternoon — these recipes are for you. 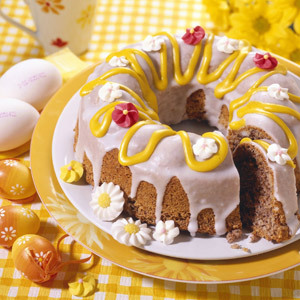 The German Easter cakes below are all spectacular in their own way. Some are relatively simple (like the Hazelnut Crown), and some are fairly complex in their execution (like the Bee Sting Cake) — but all are very, very tasty. 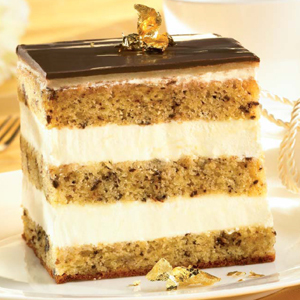 This cake is made from airy layers of dough filled with vanilla cream and topped by chocolate marzipan. A truly worthy culinary event to celebrate. 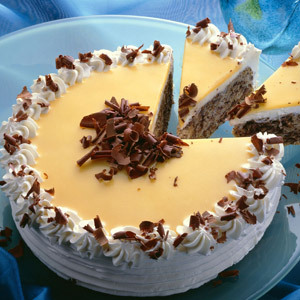 A light, hazelnut and walnut cake baked in a ring and decorated with simple glazing. 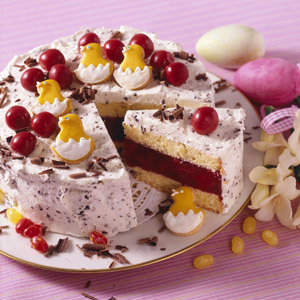 A festive-looking cake with a filling of cherries and cherry brandy and a decorated creamy icing. A very fancy looking cake with a waffle cookie ring around an eggnog cream filling — and further decorated with chocolate eggs, or as you please! An unusual flourless almond cake with carrots and apples, decorated with marzipan eggs, branches and sugar flowers. 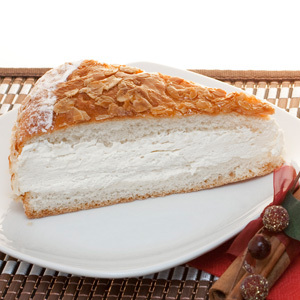 Easter Cake from Saxony with quark, almonds, currants and brandy or rum. 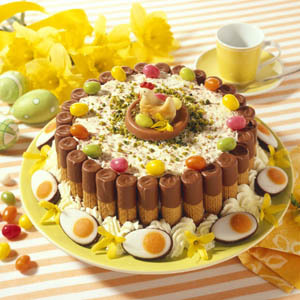 Decorate this holiday specialty with your favorite German Easter candies.